When I first met Deja and Zhane, they were living with their mother in a Section 8 housing unit in Yonkers, New York. Their mother was what most people would describe as a “typical welfare mom”—she got a job once in a while, although the risk of losing her benefits if the job didn’t work out made it difficult to get off welfare. But she was proud of those girls! They didn’t go out on school nights, studied hard, stayed away from boys and drugs, and won numerous school awards. When Zhane was offered the opportunity to attend a scholastic camp during the summer, her mother hustled to contact everyone she knew who might be willing to sponsor the girl with a donation of $20, $10, even $5 if they could spare it. I was one of the hustled. More than once. And I was happy to help. According to statistics compiled by the Federal Reserve Bank and the Chronicle of Higher Education, an estimated 40 million Americans are currently saddled with outstanding student loans totaling over a trillion dollars. 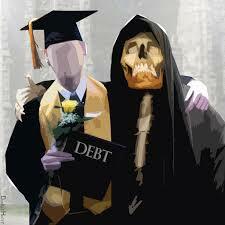 Many of them are well into middle age now, with little hope of ever paying off their debt. 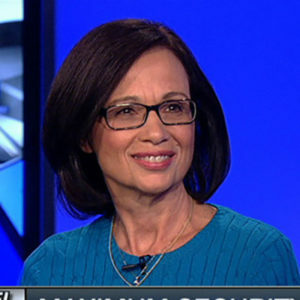 In fact, student loans are the only debt that cannot be discharged through bankruptcy, and if the loans aren’t paid off by age 65, when Social Security kicks in, payments to Sallie Mae will be deducted off the top. So add student loans to the inevitability of death and taxes—and don’t plan to leave that fancy engagement ring to your heirs, because Sallie Mae will be first in line when your will is probated. 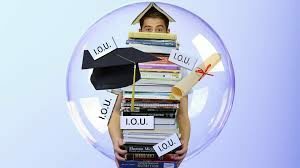 The average student debt is $30,000, but many students owe well over $100,000 when they graduate, and it isn’t unusual today for graduate students from Ivy League schools to amass debts totaling over a quarter million dollars. 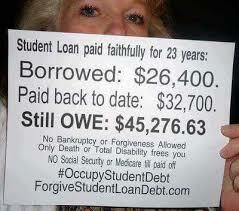 Unless you’re fortunate enough to land a six- or seven-figure job, those loans will never go away. Never. At the university where I teach, I encourage my students to purchase their textbook, an anthology of classic literature, on Amazon. Cheap, used editions are seldom available at the college bookstore because the book is updated every three years, making the older editions conveniently obsolete. Half the time the new edition is the only option, and they can’t sell it back at the end of the semester because a new edition is usually about to come out. But I don’t care which edition they use. It’s classic literature, after all! Most of my students find the book online for $5 or so (one found it for a penny! ), instead of paying $120 for the new edition at the bookstore. However, last semester I received an email from the dean: “Please encourage students to purchase their books at the college bookstore. Remind them that this is to their advantage, as they cannot use their financial aid if they purchase books online.” So let me get this straight: My students are better off borrowing $120 from Sallie Mae and paying 4-8% interest for the next 20 years than they would be if they simply skipped Starbucks for one day and bought the book online with cash? What kind of new math is that? “Learn-now, pay-later” is one of the main reasons tuition has skyrocketed in the past two decades. When students can enroll without putting a penny down, they don’t give enough thought to how much it’s going to cost them later, and colleges can raise tuition almost indiscriminately. When our daughter began college at a private southern California university 15 years ago, she was awarded a scholarship that covered 50% of her tuition. We were delighted, and budgeted accordingly as we allowed her to select this expensive school. By the time she graduated four years later, however, the scholarship was only covering 25 % of her tuition, because tuition had doubled in those four years. How can anyone plan for college, when tuition is changing that drastically? I fear for this generation whose future is being sold for a mess of pottage. Fully 60% of students accept some kind of loan for college, without ever considering the consequences. Most of them are mere teenagers when the university’s suave, educated, comforting grown-ups tell them to sign their lives away on the dotted line because “that’s the way everybody does it.” After all, it’s financial aid. The government is helping you get ahead. Aren’t you lucky. As I left the grocery store that day I congratulated Deja again on her wisdom in avoiding debt. By saving her own money for college, she is more likely to spend it carefully on a degree that truly interests her, and she’ll study more effectively because she won’t want to waste the money she has worked so hard to earn. She’ll live at home with her mother and sister instead of paying $1,000 a month for dorm life, and she plans to attend community college before transferring to a university, which will also help keep her costs down. She expects to have enough saved to pay for her first year of tuition by September. And she sleeps well, knowing that her savings account, not her loan balance, is growing. Smart girl.